About six years ago, I received a lily for Easter. After it had bloomed, I decided to replant it in a container on the deck to get it out of its tiny pot. Although it didn’t bloom again, it did well over the late spring and into the summer. When the first frost came and went and the container plants slowly died back, I didn’t give the lily a second thought. The following spring, however, when I went to replant annuals in the container, I noticed a tiny green plant emerging. The lily had survived a harsh winter out in the container, and I now had a handful of small flowering bulbs pushing through the warming dirt. Fast forward. I’ve now thinned the lilies over the years and have more than a dozen growing in my garden and containers, all from that one lone gift. This year’s “original” lily from the container still blooms each summer, and while I add different annuals to the mix each spring the lily still holds center stage. Your talents are unreal! How do you have time for all that you do? Beautiful! 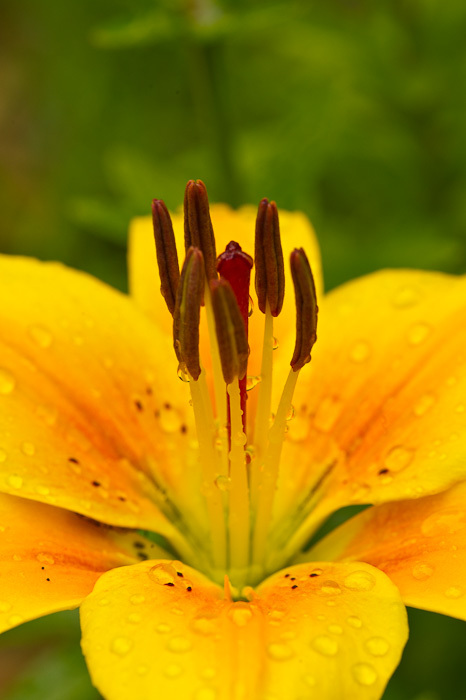 It’s certainly the season for lilies … I’m posting pictures of mine tomorrow. Thanks for sharing such a beautiful shot.